Bullbuster In Action: Doubled Up! Night filled with multiple land-based sharks and Bull Reds. Good morning everyone! 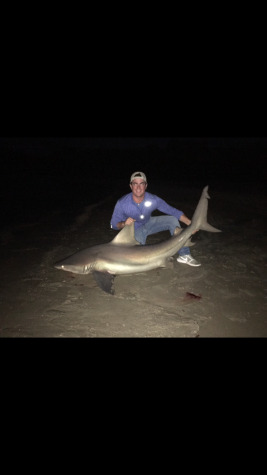 Tripp with Southend Shark Fishing here. Before we head out for the day, we wanted to share an awesome Florida winter night filled with multiple land-based sharks and Bull Reds. But by far the peak of the night was when our Finnor Santiago 80W and Penn Spinfisher 6500 went off at the same time. Doubled up on a Bull-shark and a Redfish. Check out these articles on land based shark fishing by some of the best in the business, Team Ninja Sharkers!